The Firm serves clients in the DC area from its office facilities at 1025 Connecticut Avenue, NW. 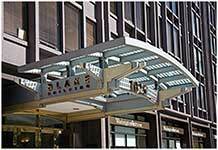 This facility is centrally located just 3 blocks from the White House in the district of Farragut Square. This hub of downtown DC, is the center of a bustling daytime commercial and business district. The location is easily accessible by the Red Line of the DC Metro System. Turn RIGHT on Connecticut Ave. Arrive at 1025 Connecticut Ave on the right. Continue on I St NW toward Connecticut Ave NW (0.2 mi). Turn right onto 17th St NW; Road name changes to Connecticut Ave NW. Arrive at Connecticut Ave NW at 1025.